The Makita DMR200 Cordless Bluetooth Jobsite Speaker allows you to play music while at the jobsite. This ultra compact with IP64 rating ideal for jobsite conditions in the Philippines delivers 10W* of high quality audio. It can be wirelessly connected to your mobile device through its Bluetooth feature. 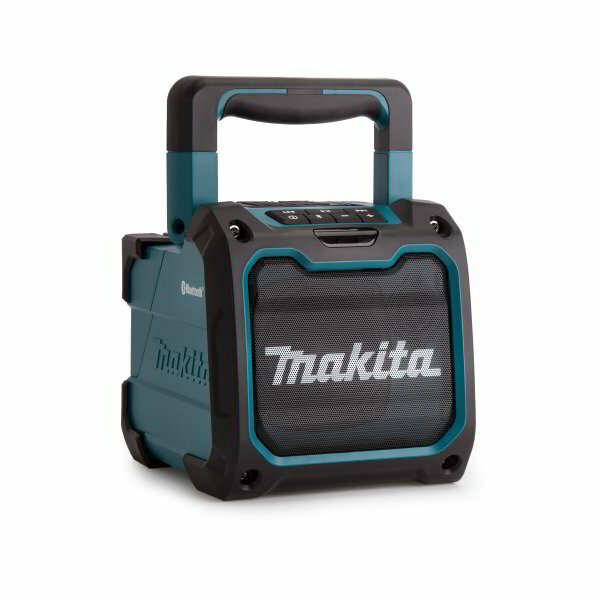 This jobsite speaker is powered by any Makita lithium ion battery from the CXT or LXT range and from the supplied AC/DC power adaptor. The Makita DMR200 Cordless Bluetooth Jobsite Speaker can last for 65 hours on AUX-IN Equipped with Bluetooth class 2 and 11 hours runtime on a 5Ah battery with Bluetooth.